This is a nice backup in case the internet goes out at your home or office. Keeping in mind the individual cameras are attached directly to the Arlo Pro HD base, they will keep working even if the internet isn’t and will record locally to the added local storage. So we’re going to discuss how to add local storage to an Arlo Pro and make a few recommendations on what’s needed to accomplish this small feat. As you know by now, an individual Arlo Pro HD camera doesn’t have a micro SD slot built in. The base or router is where you add local storage to an Arlo Pro. See the two USB slots on the base? That’s where it all starts. First, you need some additional hardware. There isn’t a lot of space back there so select a card reader that has a short external USB cable. It doesn’t need to be powered. A device such as the EC Technology SD Card Reader will do it. 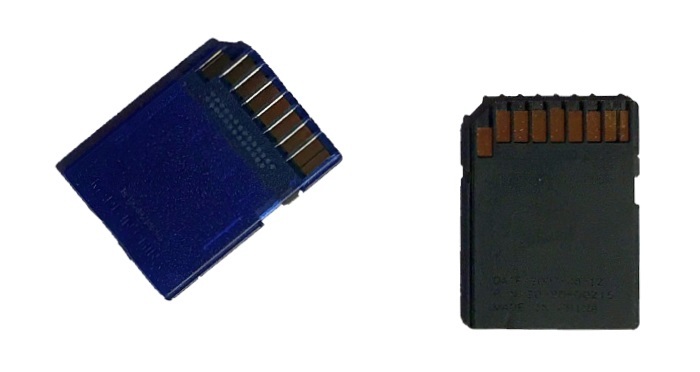 Add an SD or micro SD card. The prices on these cards are so low, I would recommend something that’s at least 4GB. An hour of recording from an Arlo Pro HD takes up about 180 MB. Using a card such as the Sandisk 4GB MicroSDHC Memory Card with SD Adapter should yield about 24 hours of steady recording. Connect the external card reader to the Arlo Pro base station. Now get into the Arlo smartphone app. Go to Settings then My Devices. Tap on the Arlo Pro HD base station where you connected the card reader. Tap on Local Storage. If the card is brand new, you will need to format it and the Arlo Pro HD can do that for you prior to use. Keep in mind, formatting will wipe everything that may reside on the card. However, if it’s new, go ahead and format it. Next it’s a matter of selecting if you would like to use automatic rewrite which I suggest not doing. The app will notify you when the card is nearing capacity and you can then choose to save some of the videos to a different device or simply erase and start over. It’s like Arlo thought of everything with this camera. Note the second USB port on the base? You can connect a second card reader to it for overflow if you like. It’s important to remember that local storage doesn’t take the place of cloud storage. It’s an additional feature. That’s exactly how you want it. If an intruder spots your Arlo Pro HD Security System and decides to steal or destroy it, your local storage is likely gone as well. However, the cloud storage stays where it is and can still be accessed via the Arlo app or web site. Adding local storage to an Arlo Pro is an easy task. I recommend taking the time to do it. It’s a nice feature that’s available in case of an internet outage.